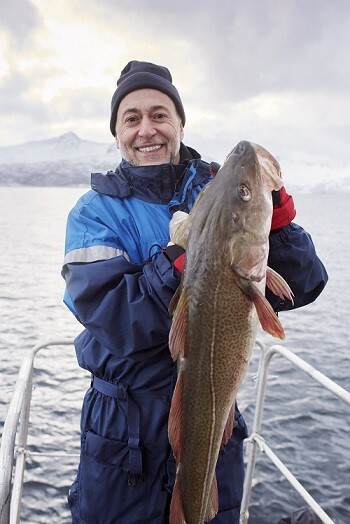 Boasting a clean and delicate flavour, large smooth white flakes and a firm texture, Skrei Cod is considered a culinary delicacy in many parts of the world. Only available for a limited seasonal window between January and April each year, when over 400 million Skrei make a 1000km journey from the Barents Sea to their traditional spawning grounds along the Norwegian coast. This epic journey through cold, clean Arctic waters makes the Skrei very lean and create its delicate texture and flavour. As Skrei is such a large and healthy fish, it's perfect for using the 'tongue to tail' ethos when preparing it. Every part of this fish carries bags of flavour, whether you are braising the cheeks with a little schnapps or creating delicate crisps from the skin. 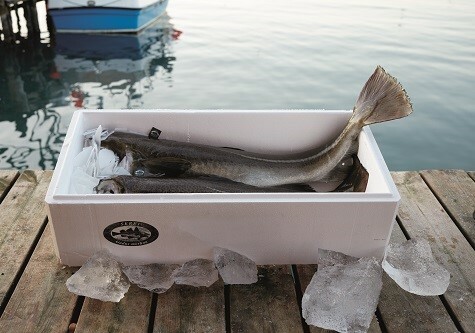 Store your Skrei in its box in the fridge until you are ready to prepare it. Water will change the Skrei's skin colour so do not allow the Skrei's skin or meat to come into contact with ice while storing. Give you branch a call and quote product code 'FCSKRE' to get the 'Norwegian Miracle' on your menu. Sold headless and per kg.